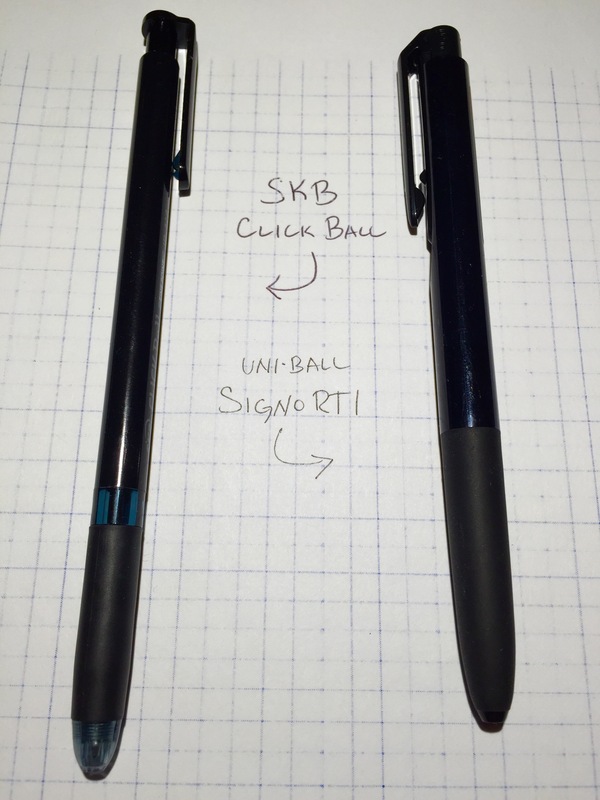 The most striking thing about the SKB Click Ball is how much it looks like the uni-ball Signo RT1 gel pen. The all-black design, the shape of the barrel, and even the knock/click mechanism seem nearly identical (click here for a comparison pic). It’s as if the Click Ball is the Signo RT1’s younger brother, albeit one that still has thing or two left to learn. 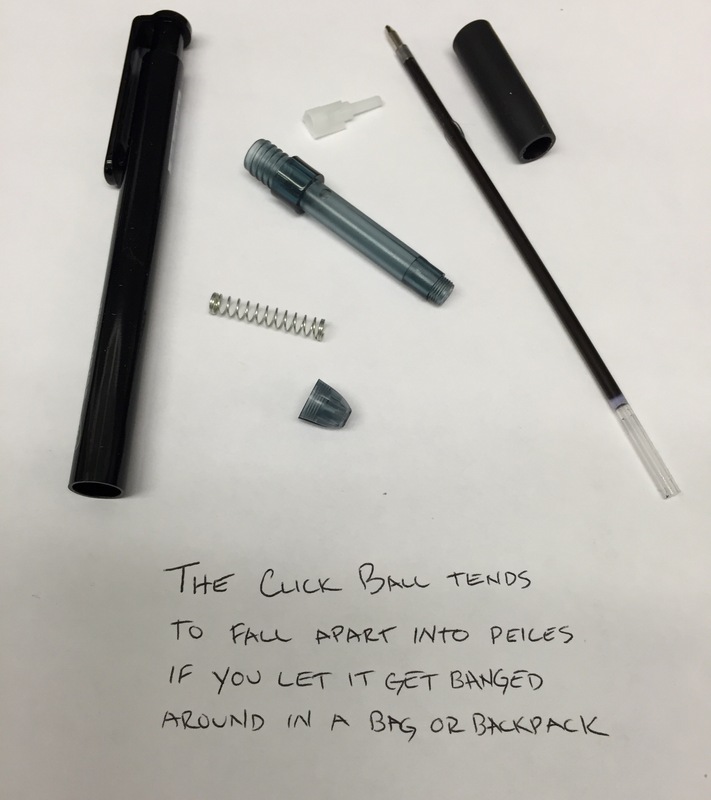 The Click Ball provides a great writing experience once it gets going: it’s smooth to write with, the ink doesn’t blob up, and there’s no smearing. Getting to that point, however, can be a bit of a struggle. After the pen has been sitting, it seems like the first few words drag on the page, and there are some intermittent issues with ink skipping. 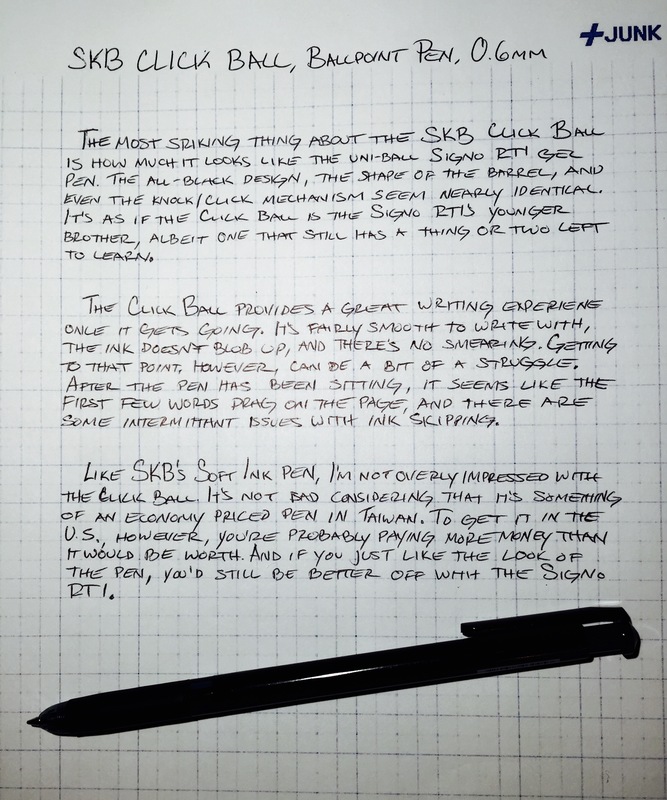 Like SKB’s Soft Ink pen, I’m not overly impressed with the Click Ball. It’s not bad considering that it’s something of an economy-priced pen in Taiwan. To get it in the U.S., however, you’re probably paying more money than it would be worth. And if you just like the look of the pen, you’d be better off with the Signo RT1.